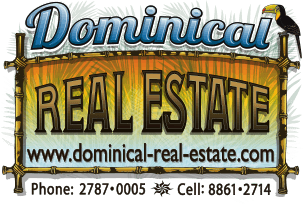 3 ACRES - Prime Development Property In Center Of Uvita!!! Located less than 400 meters from the main commercial 4-corner hub and the Banco de Costa Rica is a huge 12,334 m² (3 acre) development property. This unique property packed with raw potential has now made its way onto the market. Are you that visionary developer that realizes an opportunity when it comes your way? This is a FACT! Uvita is experiencing a strong surge in development and investment from many sectors. This in turn has created opportunities for a number of new commercial enterprises and well-known service companies to expand into the Uvita community. It is no secret that Uvita is the "COMMERCIAL HUB" for the Ballena Coast. Between Dominical and Ojochal there are approximately 7,500 plus residents, of whom many will make their way to Uvita at one time or another. It is also a well-known fact that housing for the professional and service personnel working in these sectors is in huge demand. The daily commute from San Isidro for many of these people is staggering, yet realistic. This property is situated in a prime, residentially zoned area of Uvita Central, and offers space to build homes in many configurations. Singe family homes, condominium apartment complexes or multi-unit townhomes. The current Uso de Suelo (Land Use Authorization) received from the Municipality of Osa allows for these types of housing. The opportunity for the Local Banking Sector to get involved with New Home Financing programs is also a reality. The Seller is flexible and open to working with viable entrepreneurs who have the vision and financial capability to move forward with a development plan.